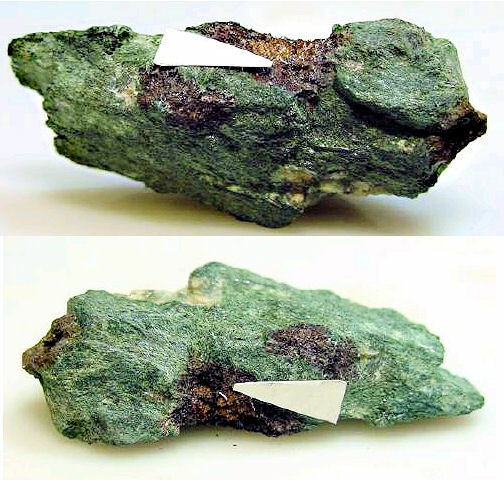 Comments: Top and bottom images of brownish yellow ikranite aggregate in a green matrix. Location: Lovozero Massif, Kola Peninsula, Russia. Scale: 1 3/4" x 1".